The Arabian Sand Boa a small Sand Boa restricted to the Arabian Peninsula. It rarely exceeds 16 inches (40 cm.) in length. 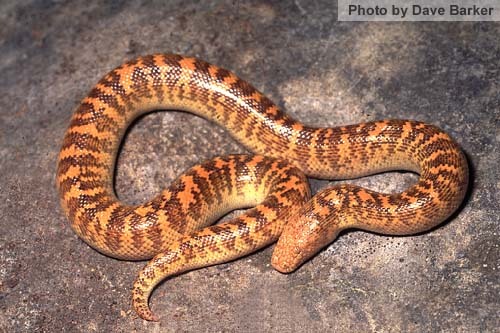 In overall coloration it is similar to the more familiar East African Sand Boa, E. colubrinus, with a black or brown pattern on an orange/yellow background. The pattern is finer and more irregular than that of colubrinus and the darker blotches can form irregular bands across the surface of the snake. In some parts of its range the Arabian Sand Boas are much darker and almost patternless, a condition similar to that seen on some populations of E. miliaris, E. conicus and E. colubrinus. Arabian Sand Boas are one of the truly sand dwelling Eryx and have their eyes positioned on top of their heads, rather than on the sides. This allows them to see out of the sand without having to have all of the head exposed. A similar, although less pronounced, adaptation is seen in E. miliaris. 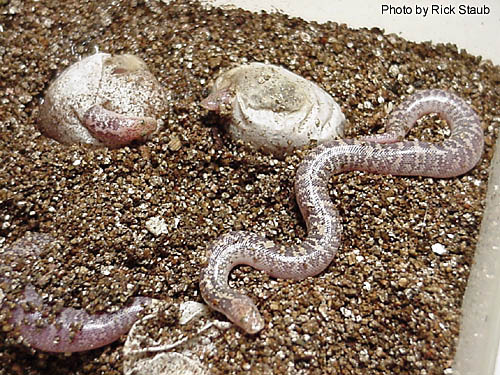 The Arabian Sand Boa is active largely at night in its desert home, where it hunts lizards and small rodents. 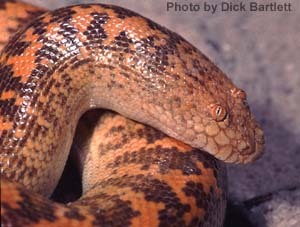 Until recently, Arabian Sand Boas have not been widely available in captivity for several reasons. 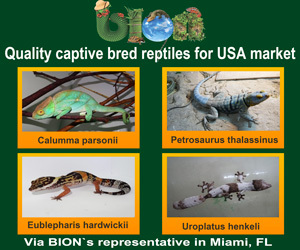 They come from an area of the world that has not exported large numbers of indigenous animals for the pet trade. The few that have been exported have been problematical captives as they are a rather small species of Eryx and getting them to take mice in captivity has been a frustrating process. While captive born snakes are usually a lot easier to feed, captive born jayakari are such small babies that they have trouble eating even the smallest pinkies. 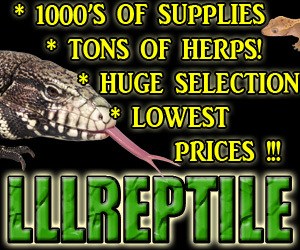 Recently this beautiful species has become more available to the hobbyist. Interestingly enough, with the increase in the number of jayakari in captivity, we have discovered that this species lays eggs! This would make it the only member of the genus Eryx known to do so. This may give further impetus to the suggestion that this species belongs in its own monotypic genus (or subgenus), Pseudogongylophis. 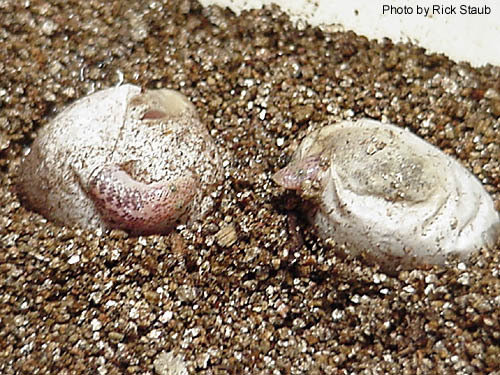 Here are a few extraordinary photographs of some baby jayakari hatching from eggs. 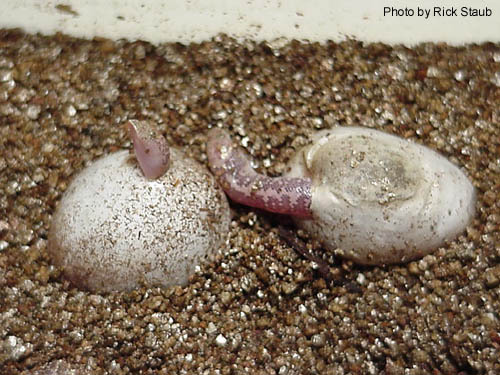 This may be the first documented case of a Sand Boa producing eggs and these are very likely the first photographs ever taken of jayakari hatching. I am deeply indebted to Dr. Rick Staub for providing these photos for us to see!